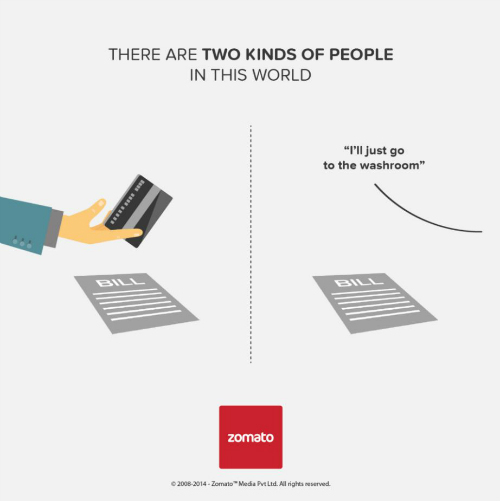 Only Two Types Of People In The World - Which One Are ​*You*​? Do you like your things well managed? Or are you always a bit all over the place? 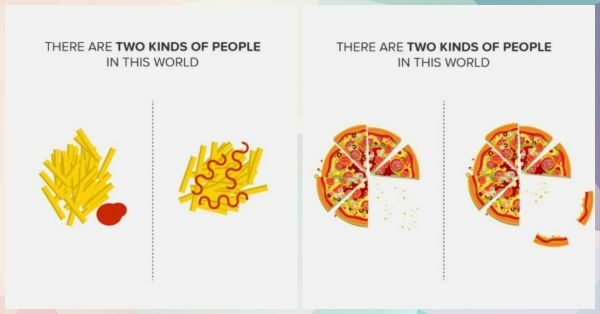 We all have our own quirks, sure, but did you know that there are two types of people in this world?! Well, we didn’t! 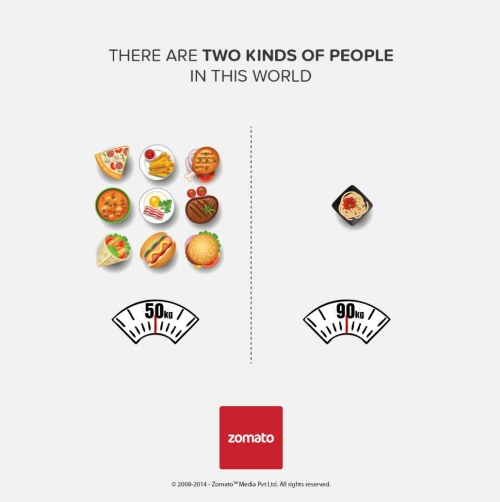 These illustrations by Zomato describe both the types perfectly and we couldn’t agree more. 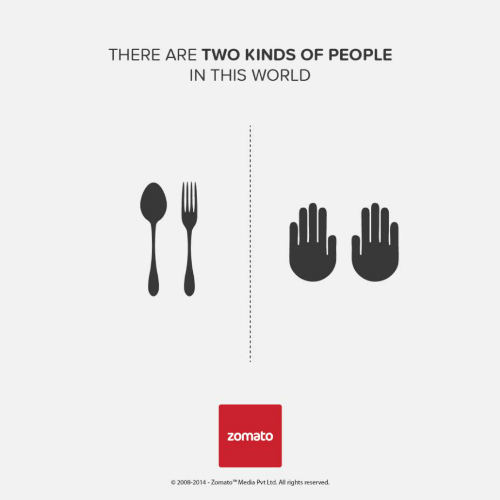 So are you ready to find out which category of people you belong to? Read on! 2. 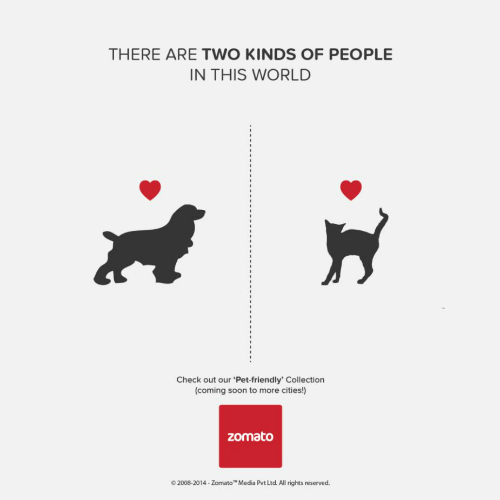 Well, this one would be restaurant vs home for us! 3. 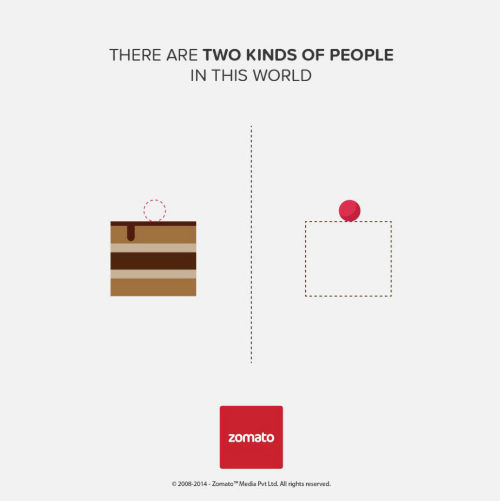 We say, eat your cake and have it too! 4. OMG! Is Type 2 disturbing just for us?! 5. Well! 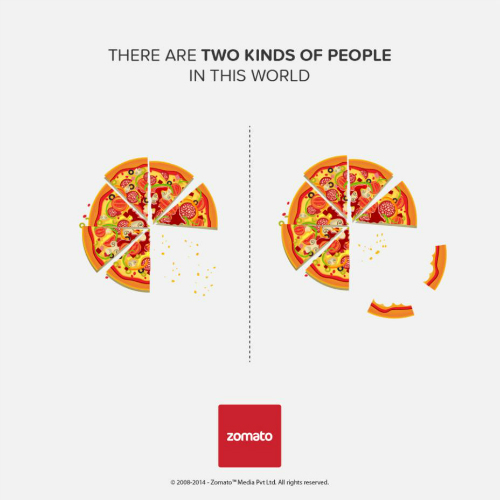 When we eat a pizza, nothing is left behind… Just saying! 6. LOL! 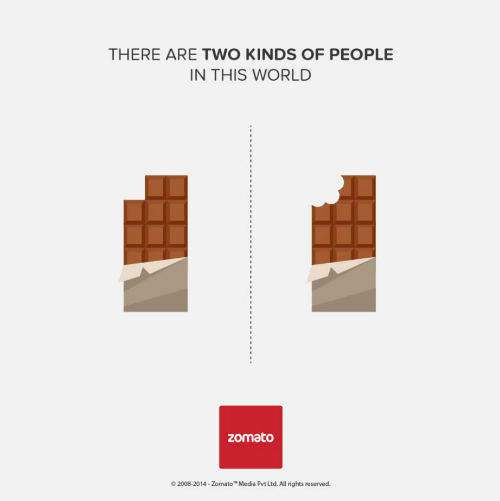 This is so relatable, we know both kinds of people! Right?! 7. The Type 2 people have special seats reserved in hell, we hope! 8. SERIOUSLY! Type 1 people, the world is a bit jealous of you! 9. 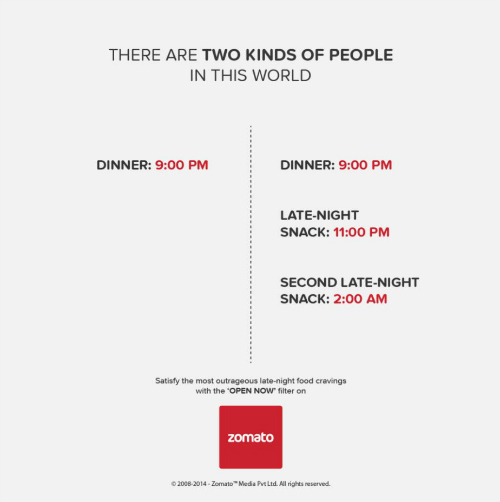 Meals in between of meals? Bring it on! 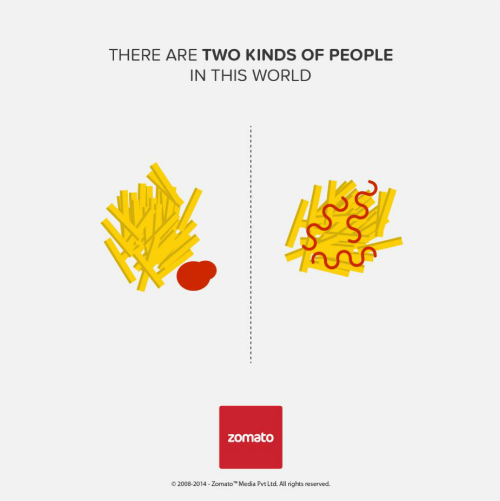 Type 2, we’re definitely type 2! 11. You can only belong to one of these groups! 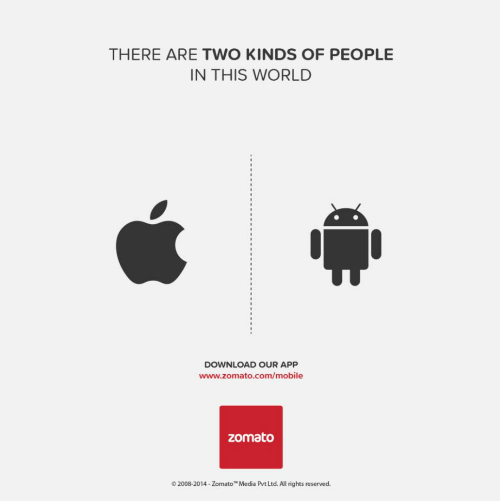 Either Android or Apple for life! 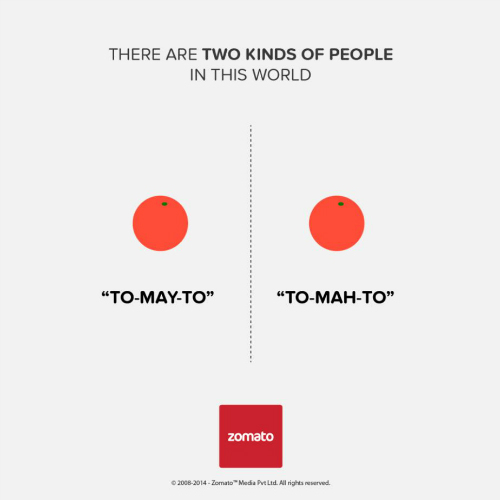 Image: Zomato on Facebook MUST-READ: 6 Bra Memes That Will Make You Laugh Till Your Bra Pops Open! MUST-READ: If Boys Had To Wear Bras… THIS Is What Would Happen!